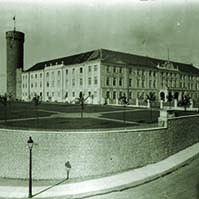 The Riigikogu decided by 46 votes (40 abstentions) to make amendments to the Act on Amendments to the Gender Equality Act, the Equal Treatment Act, the Republic of Estonia Employment Contracts Act, the Local Government Organisation Act and the Local Government Council Election Act (317 UA), initiated by the Government, refused to be proclaimed by the President of the Republic. The Constitutional Committee proposed to resume the legislative proceedings of the Act and to make amendments in it. The Committee supported the position that the part of the Act concerning local government council elections and local government organisation should undergo legislative proceedings as a separate Bill. Nobody in the Riigikogu voted for passing the Act unamended. 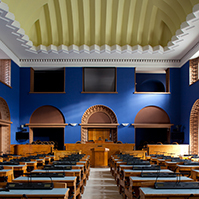 The Act on Amendments to the State Budget Act, the Participation in Legal Persons in Private Law by the State Act and the Riigikogu Rules of Procedure and Internal Rules Act (402 SE), initiated by the Government, which enables the Estonian state to be more efficiently prepared to fight financial crises, was passed with 57 votes in favour (30 votes against, 1 abstention). The Act assures depositors and other creditors, credit institutions themselves and the whole Estonian financial system that the state is ready to efficiently ensure financial stability, if necessary. 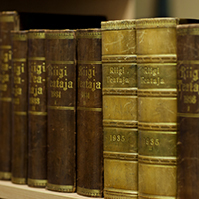 The Act simplifies granting of a guarantee to credit institutions which are experiencing difficulties and grants the Riigikogu the right to conduct expedited legislative proceedings concerning granting of a state guarantee or loan to credit institutions which are experiencing difficulties at a single reading and at the earliest opportunity according to the proposal of the Board of the Riigikogu or the President of the Riigikogu. The Act provides that the stabilisation reserve funds may be used for the prevention or resolution of financial crises. The Act on Amendments to the Penal Code and the Taxation Act (360 SE), initiated by the Government, which introduces the regulation of the limitation period of tax misdemeanours, currently provided in the Taxation Act, to the Penal Code and improves the penal law regulation relating to combating terrorist financing pursuant to international requirements, was passed with 84 votes in favour. The Act provides penal law liability for financing or supporting a person whose activity is aimed at committing a terrorist offence, in addition to the already criminalised financing or supporting of a terrorist offence or a terrorist organisation. The Act on Amendments to the Accounting Act (373 SE), initiated by the Government, was passed with 71 votes in favour (1 abstention). Repealing of the provisions concerning the management’s declaration will reduce the administrative burden of accounting entities. 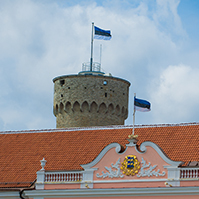 The implementation of the obligation to prepare a company management report will result in an increased administrative burden for those companies whose securities giving the right to vote are admitted for trading on a regulated securities market of Estonia or another Contracting State. The disclosure of company management systems in company management reports will enhance the credibility of companies by giving investors, financial institutions and the public an opportunity to obtain the necessary information about the management systems of a company which is relevant in making investments and investment decisions. Also, the disclosure of company management systems will help improve the work of the internal control of companies. The reliable implementation of company management systems will facilitate efficient distribution of resources, will have a positive impact on the economic growth and will facilitate economic stability, because a reliable management system reduces the risks of destabilisation of the economic environment. 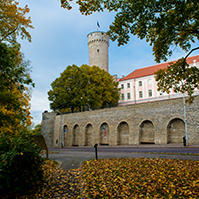 The Act on Amendments to the Planning Act (345 SE), initiated by the Estonian Green Party Faction, which establishes the obligation of local governments to put up an information board or notice in a visible place in a detailed plan area for at least one month within one month after making the decision on the initiation of the detailed plan, was passed with 64 votes in favour (1 vote against, 1 abstention). The information board or notice must contain the basic data about the detailed plan. The Act on Ratification of Protocol amending the Agreement between the Republic of Estonia and the Kingdom of Netherlands for Avoidance of Double Taxation and Prevention of Fiscal Evasion with respect to Taxes on Income and on Capital (425 SE), initiated by the Government, which eliminates the situation which has emerged due to division of taxation right where the income earned by the Estonian residents in the Netherlands as artists or athletes is subject to taxation neither in the country of source of income (Netherlands) nor in the country of residence (Estonia), was passed with 64 votes in favour. 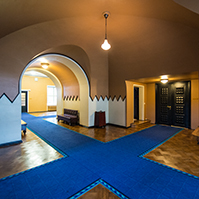 The need to replace the exemption measure which was used for avoidance of double taxation of the income of artists and athletes by credit measure arises from a legislative amendment in the Netherlands: as of the beginning of 2008, income of non-resident artists and athletes is not subject to taxation in the Netherlands and, in the event of continuing the exemption measure, Estonia would lose the right to tax the income which is earned by the Estonian residents in the Netherlands as artists or athletes and not taxed there. The Resolution of the Riigikogu “Amendment of the Resolution of the Riigikogu “Appointment of Members of the Supervisory Board of the Foundation Established for the Use of the Proceeds from Environmental Exploitation Paid into the State Budget”” (435 OE), submitted by the Environment Committee, by which Member of the Riigikogu Tõnis Kõiv is appointed member of the board instead of Rain Rosimannus, was passed with 35 votes in favour (3 votes against, 2 abstentions). the second reading of the Bill on Amendments to the Building Act (389 SE), initiated by the Government. the Bill on Amendments to the Natural Gas Act and the District Heating Act (426 SE), initiated by the Government. At Question Time, the Minister of Regional Affairs Siim Valmar Kiisler answered the question about administrative reform, submitted by Karel Rüütli. The Minister of Economic Affairs and Communications Juhan Parts answered the question about economic situation, submitted by Toomas Varek, and the question about labour market, submitted by Mai Treial. The Minister of Justice Rein Lang answered the question about the Public Service Act, submitted by Maret Merisaar.